https://top100project.files.wordpress.com/2018/03/the-piano.mp3 Rated R, but only for a few seconds during the nutshell. The 99th episode of the Next 100 Project goes all the way to rainy New Zealand to investigate what happens when a mute woman has to fight to keep her “voice” (ie. her 88 keys). 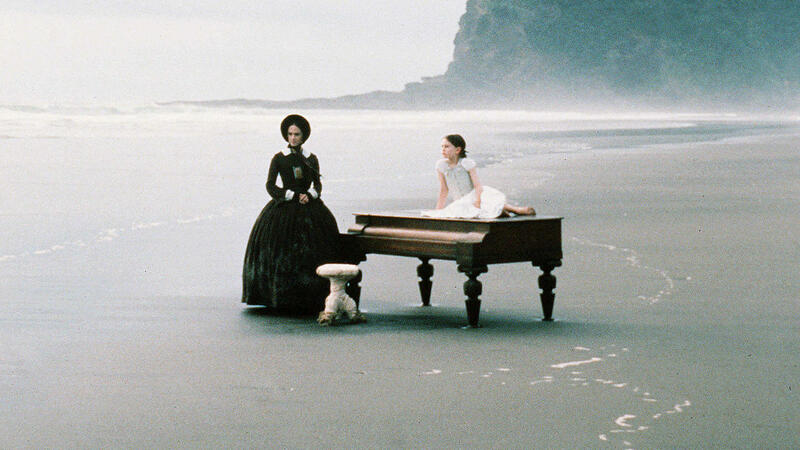 Holly Hunter and Anna Paquin won Oscars as the fiery mother & daughter, as did their writer/director Jane Campion. Ladies rule! Complicated story, beautifully done. For a tasty dose of joe, go to Sparkplug Coffee and also save 10% on your 1st order when you use the promo code “Top100Project”. Links to: Broadcast News and Schindler’s List and The Lord Of The Rings and Get Out and Three Billboards etc.